I had to go out so I trimmed my ends after I got home later that night. My hair is coming along well and I am hoping to claim full APL by my next touch-up which should be in September or November. My personal rule when relaxer stretching is nothing less than 12 weeks so a touch-up could happen anytime thereafter. This has been my shortest stretch since starting my hair journey and I have to admit that doing my own touch-ups is getting less appealing, I would really love to find someone I can trust to do my hair. Your hair looks great! I wish I could get those smooth results at 275 degrees. 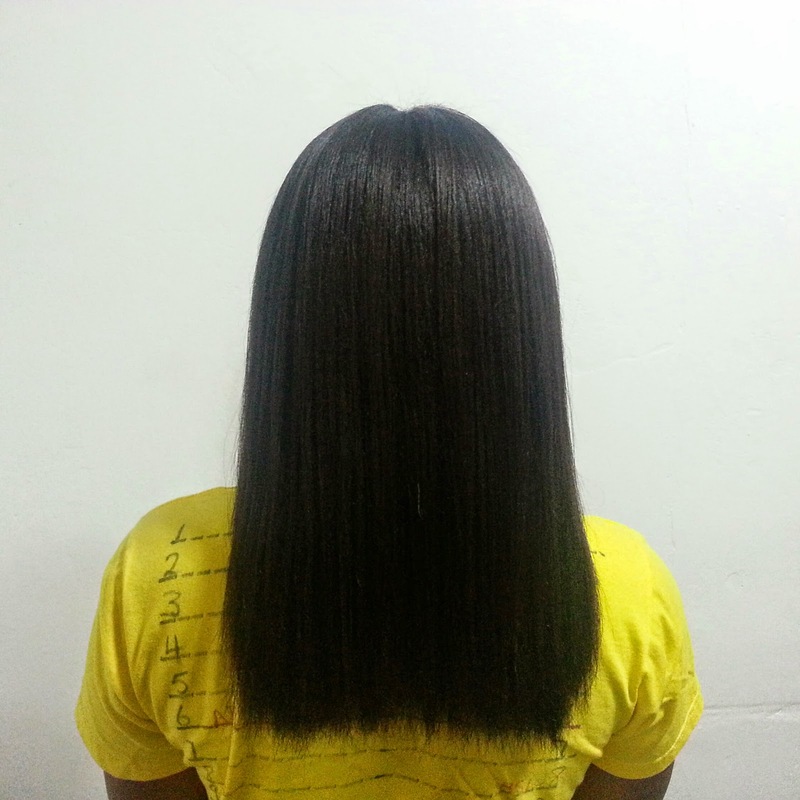 The thickness you have is crazy, perfect trim, no see through ends, equal... yassss! Great relaxer day. You hair has really bounced back! Thick and silky! Am with you on finding a stylist but who to trust! I love your reveal. Your hair looks very healthy. You did a great job on the trim. I've self-relaxed before and it's not appealing whatsoever. I am salon relaxed and love it (most days). At time nightmares and salons go hand in hand but I'm hopeful, there are a few gems out there. Your hair looks healthy. You only need a light trim from what I see. Looking good! It turned out great and your ends look fab. 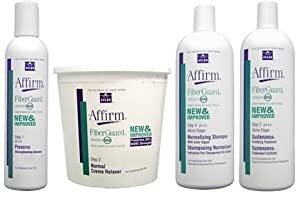 I used to use Affirm when I was bleached blonde and still going to the salon. It was a great relaxer for texlaxing even back then. It is a great relaxer, I've used both the lye and no-lye and I have nothing but good things to say. Great to see that your hair is bouncing back from that haircut that other stylist gave you! Its bouncing back nicely but its stylist like him is why I'm so afraid to let anyone touch my hair. I'm here drooling over your hair right now. You hair has bounced back so nicely. Its thick from root to tip and looks like APL already. You did a fantastic job! I can't believe that trim from hell was 7 months ago!! It feels like years! wow, your hair is amazing , i haven't tried this product ,i'm so scared of changing relaxers now, but truly i'm impressed with your hair in that picture. Oh by the way i just joined you on GFC .let me know if you would like to join me. Of course I'll join you! Just stopping by to show some love doll. I hope you are okay! I'm not okay okay but I'm okay lol Thanks for the love hun! Candice, your hair looks amazing pre-trim. I don't think you needed a trim at all. I must say that I'm also drooling over those thick healthy ends! Get it girl! LOL!! !